This entry was posted on November 8, 2011 by SandyLand. It was filed under Uncategorized . I get this movie, great post. Also, I had no idea that Brad Pitt was slated for that role – I completely agree that it wouldn’t have been the same movie with him in it. Thank goodness he stepped down. I saw the Tree of Life movie with him this summer and I think he is just too overwhelmingly a political/social character in our world to lose himself in a role anymore. That movie was weird, but it might have meant more if the actor wasn’t Brad PItt. Anyway, I really like your blog! Hi. Welcome to SandyLand!! I’m so glad someone else gets it. Brad Pitt is a great actor but you’re right, he is too overwhelming for a film like this. I never really saw the appeal of Brad Pitt. 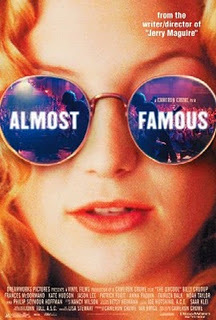 And I truly think that Almost Famous succeeded with the lesser knowns (at the time).